Like many wonderful people out there who only manage to blog now and then, I am often asking myself why I don’t participate in the medium more often, considering how much I love it. Overthinking things is definitely part of it for me. Wanting every post to be more elaborated, have my best photos, be a piece of good writing. But isn’t the beauty of the blog partly that it can be a space for smaller things, for telling pieces of a story that little by little thread together over time? I am participating this month in Christina’s daily art project, and am loving how it has me getting more playful. 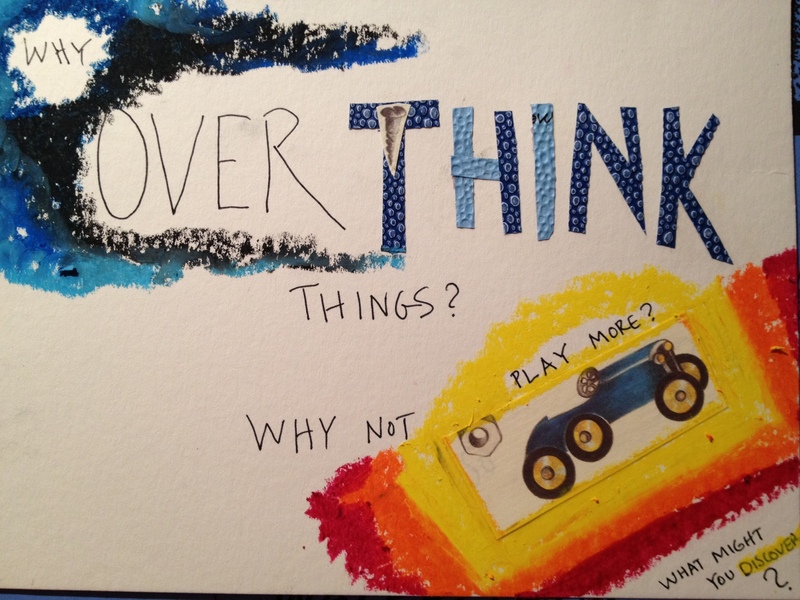 Because really, what do we gain by overthinking things all the time? And what might we discover if we let ourselves be more playful? So, I’m going to try it out on blogging too. I’ll see you back here soon!